For those who are looking for a romantic St Valentines Day gift which includes the skull of St Valentine (!!) and other stories of love in early Christian and medieval Rome, then this is the perfect tour for you and your loved one. You will begin your tour by peering through the famous Keyhole of Rome to have your breath taken away by what you will see. From here you will stroll a few metres to the Church of St Alessio and learn the cautionary tale of love and marriage when he raised eyebrows in ancient Rome. From there you will meander a few more metres into the romantic and stunning Orange Garden with breathtaking views over the city of Rome where young Italians often canoodle in the evening to enjoy the romantic atmosphere. After some spectacular photos, you will then venture down the hill, past Circus Maximus, to visit the famous "Mouth of Truth" from the romantic film "Roman Holiday" with Carry Grant and Audrey Hepburn, before entering the Church to view and consider the actual skull of St Valentine! Perhaps not romantic to see a skull but certainly a story to tell your future children! 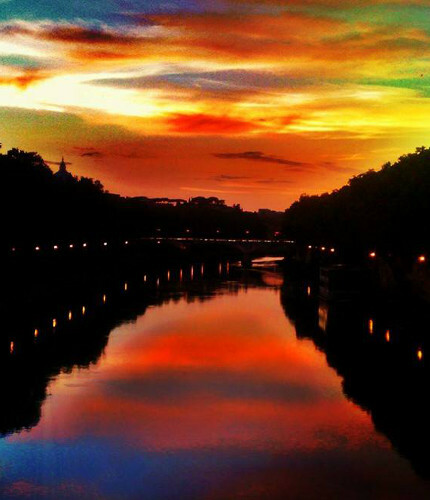 Ambling on, you venture onto the ancient Tiber Island for a sweet gelato or just to stroll across the winding river. From there, you yourselves will wind through the charming narrow medieval streets of Trastevere to uncover the hidden gem of the Abbey of St Cecelia built over the house where the Roman Cecelia lived in the first centuries. You will learn about her love story with her husband and see the romantic marble statue recording her eventual death before visiting her golden tomb. Finally we end up in the centre of Trastevere at the famous and ancient Church of Santa Maria in Trastevere to see its beauty before meandering off into the crowds for a cool glass of wine or prosecco on the Piazza watching the world go by at sunset with your loved one. 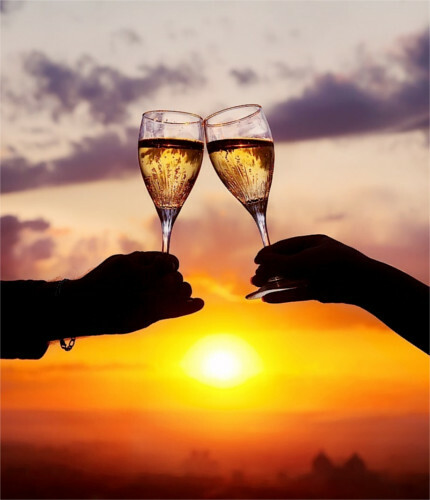 If you want the tour to be just you and your loved one, then choose the VIP option to ensure that it's just you and the guide. Standard tours MAY be with other couples. Both James and Isabella were wonderful guides on our tours. They were very knowledgeable and made the experience more meaningful. My husband and I will definitely recommend Eternal City tours to anyone who is visiting. Nothing too much can be said of this company. When everything is just so perfect. I am quite a particular traveller. I like things to go MY way. Eternal did exactly just that. I wanted to have a fully custom, fully flexible tour, they provided it. They sent two super knowledgable guides, that followed our pace. Often tour are very single dimension. They talk you listen, I guess bcs of my small sized group it became they talk, I ask, they answer. Tom replied my emails super fast too! I like that. I feel that I am being taken care of. Like the title says: 6 of 5 stars. To other Travellers, look no more, these are the right guides for Rome and the Vatican. We booked a Tour that included a visit to all four major basilicas. Our guide was James Good and my wife and I were absolutely delighted and thrilled with the quality, care and professionalism we experienced with Eternal City Tours. James was extremely knowledgeable and more importantly was very friendly and personable throughout the tour. As someone who lives in Rome, he shared not only his encyclopedic knowledge of the basilicas but also insights to living in Rome. We made a coffee stop at Panella l'Arte del Pane where we were treated like friends hanks to a James' connections. He also gave us a number of very useful recommendations to improve our visit and stay in Rome. We enjoyed spending time with him and commend Eternal City Tours for delivering on their promise of a high quality experience. We totally enjoyed the Holy Doors tour. We were impressed by the knowledge that James imparted judging the tour and we highly recommend this tour. Having been to Rome a few times before, our group was looking to tour Villa D'Este, Hadrian's Villa and the Catacombs of St. Callixtus with guides who offered a truly Christian perspective. And this is exactly what we found with Eternal City Tours. Our group of 10 came from diverse backgrounds, but everyone was riveted by the fountains of information flowing in our direction.Our guides, Blitch and James were not only marvelously well-informed and passionate, they were also extremely patient! I strongly recommend Eternal City Tours for those who want to delve more deeply into the wonders of Rome. Chad was the best we've ever had! Chad Deffler was the best guide we have ever had. We have traveled quite a lot in recent years and used a lot of guides. Chad was able to explain and answer all questions with absolute accuracy and clarity. His knowledge of Rome, religious history, and philosophy was incredible. All this was done in a manner that kept the tour interesting. Our guide Matthew was fantastic! Our guide Matthew was fantastic. He went the extra mile to explain and show us everything. He didn't rush us and gave us ample opportunity to ask questions. Many thanks to him, Tour of the Holy Doors was our reason to visit Rome and he made it all worthwhile. We will definitely book with Eternal City tours again and request Matthew to be our Guide. One in a million. Please let him know we appreciated his company and knowledge and hope to meet him again with Eternal City Tours. We did both the Vatican and Coliseum tours. Their guides were very informative, educated and fun! Highly recommend them. You, the guide, & others. On set days. You, & the guide only.On any day. Upgrade to VIP Private for just € more. You may also like to consider these related tours. Eternal City Tours is a not-for-profit guided tour company that exists to provide Catholic Tours of Rome & Italy, and to fund Catholic Education Scholarships for Eternal City Education NPO as part of Eternal City Group Ltd.